We all have “the list”: those classic books that we have the best intentions of reading, but which, after graduating from school, become less urgent priorities. We've set out to address this problem with Restless Classics—a series of beautifully packaged, newly introduced and illustrated great books from the past that still speak to our time, our place, and, especially, our restlessness. In addition to their original artwork and fresh introductions, each Restless Classic brings the classroom experience to the reader with linked online teaching videos. Find out more at restlessbooks.com/classics. "Quicksand and Passing are novels I will never forget. They open up a whole world of experience and struggle that seemed to me, when I first read them years ago, absolutely absorbing, fascinating, and indispensable." "Discovering Nella Larsen is like finding lost money with no name on it. One can enjoy it with delight and share it without guilt." “A careful reading of Larsen’s prized novel paired with Lily’s prints makes the content present, not a gaze back in time. Readers, I am sure, will leave this novel wondering about contemporary moments of passing, be they related to education, sexuality, race, or economics. This reprinting of Passing is a welcome delight, especially as scholars are increasingly turning their attention back to Larsen’s body of work. 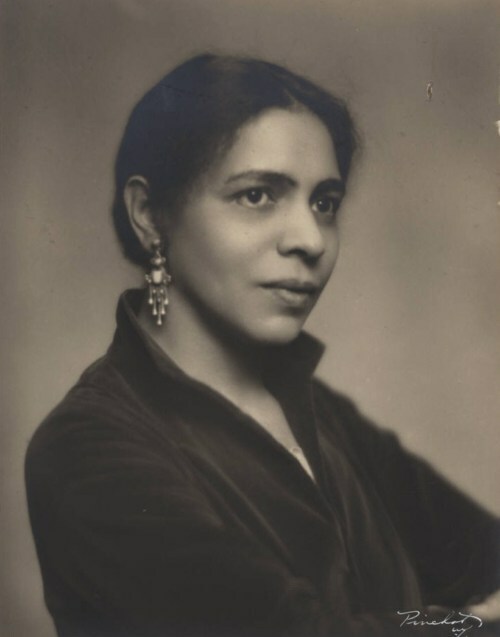 Nella Larsen was born Nellie Walker in 1891 in Chicago. Her mother was a Danish immigrant and her father an immigrant from the Danish West Indies. Larsen attended school in all white environments in Chicago until she moved to Nashville to attend high school. Larsen later practiced nursing, and from 1922 to 1926, served as a librarian at the New York Public Library. After resigning from this position, Larsen began her literary career by writing her first novel, Quicksand (1928), which won her the Harmon Foundation’s bronze medal. After the publication of her second novel, Passing (1929), Larsen was awarded the first Guggenheim Fellowship given to an African American woman, establishing her as a premier novelist of the Harlem Renaissance. Nella Larsen died in New York in 1964. Darryl Pinckney, a longtime contributor to The New York Review of Books, is the author of two novels, Black Deutschland and High Cotton, and two works of nonfiction, Blackballed: The Black Vote and US Democracy and Out There: Mavericks of Black Literature. Maggie/Malachi Lily is a shapeshifting, black, nonbinary artist and moth from Philadelphia, PA. Seeking to combat our present day cravings for instant gratification and toxic individualism, they create works of art, literature, and programming that resonate spiritual light. They hope their work causes you to want to curl up in the sun and ponder, ideally with a cat.